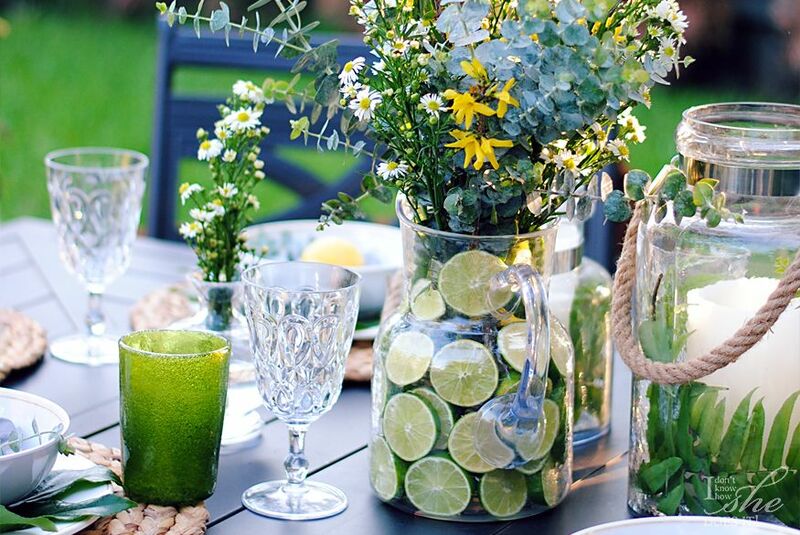 I’ve seen a couple of times now on Pinterest some interesting flower arrangements whose vases were filled with lemons slices (or other fruits). I decided to create my own to see if this would be an easy thing to do, or a “Pinterest fail”. 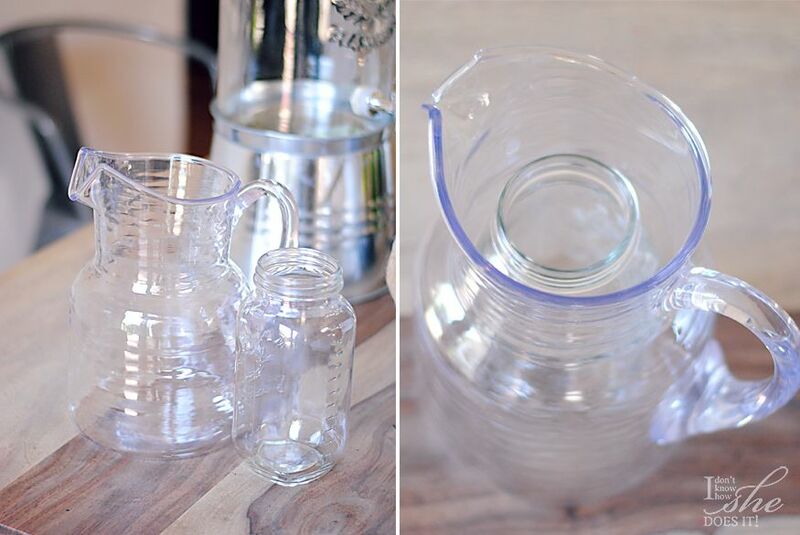 For this project I used a +BHG Live Better plastic 3 quart pitcher (as my lemon keeper) and a mason jar that would be holding my flower arrangement. I bought a bag of limes (probably around 12-14 limes) and cut them in 1/2″ slices and reserved the ends. With the help of a bamboo skewer, I lined each slice inside the pitcher (in the space around the mason jar). I have to confess that each line became more challenging than the previous one. 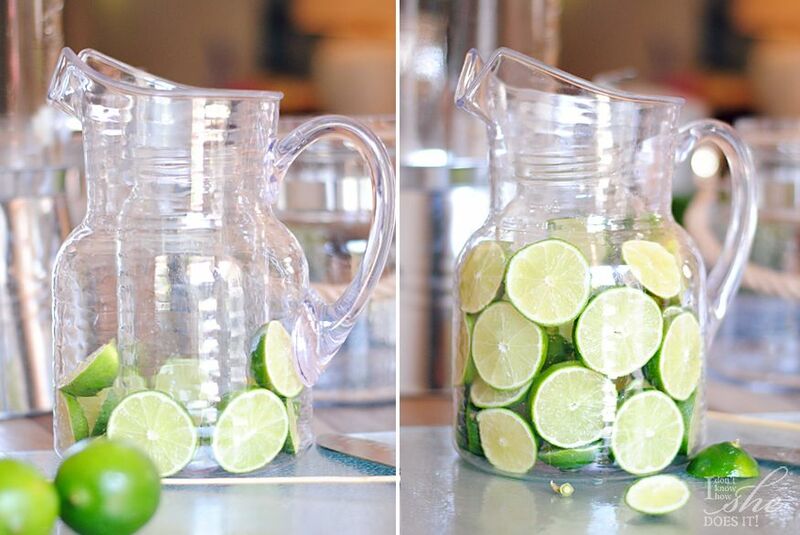 But what helped me in preparing this pitcher was the use of the ends of the limes. These helped on pushing the big slices towards the front and holding them steady against the pitcher’s inner wall. I made several rows up to the mouth of the pitcher and then proceeded to add the flower arrangement. 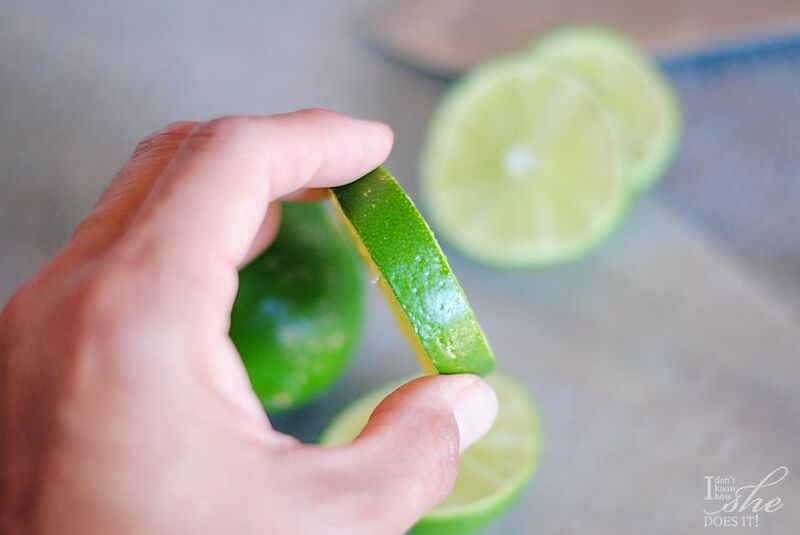 Remember to cut the lime in slices of around 1/2″. In general, this project took me no more than half an hour and of course the time will depend greatly on the size of your container. But the final result made it all worth it and I can gladly say “I nailed it”! What other fruits would you use to make this project? Would you mix fruits or just use one type? And remember you can always see more photos of this and other project besides my decor style on my Instagram account @idknowhowshedoesit. Great idea & beautiful thanks! 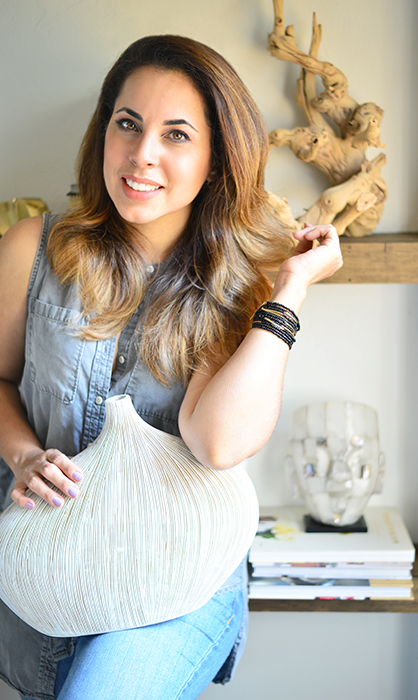 Thanks Rocio for your kind words and for stopping by. So glad you liked this!!! LOVE this idea Gloribell! And your entire backyard oasis on Design Happy is FLAWLESS. Bravo! How long do the limes last before the water gets icky? Thinking about doing this for a home staging. Will it last 4-5 days? Hello Molly and thanks for stopping by. I did this project a year ago and let me tell you, it lasted almost 4 days. So for the third day it tends to look and smell weird, but three at the most. Have a lovely day and thanks again.